Click here for our Training Update to check course dates and availability. Do you get your racking checked regularly? Do you know why you should? 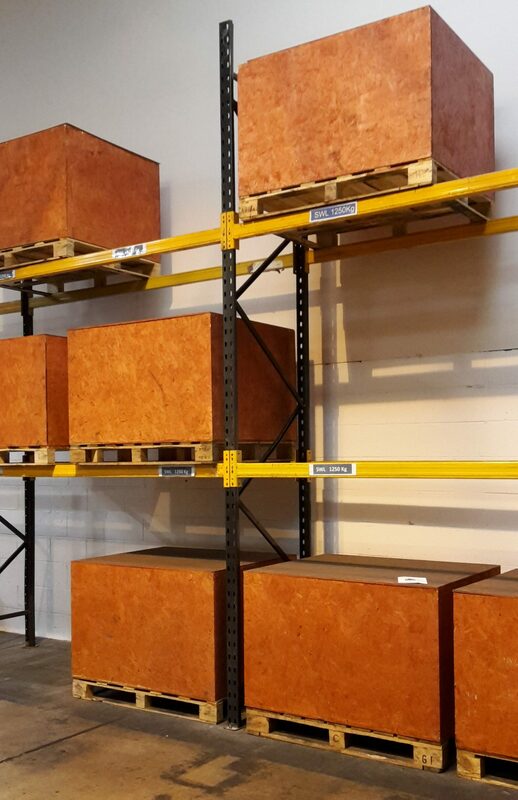 641 In general, racking is manufactured from relatively lightweight materials and, as a consequence, there is a limit to the amount of abuse that it can withstand. The skill of lift truck operators has a great bearing on the amount of damage likely to be caused. Any damage to racking will reduce its load carrying capacity. The greater the damage the less its strength will be. 642 To ensure that a racking installation continues to be serviceable and safe, the storage equipment should be inspected on a regular basis. The frequency of inspections depends on a variety of factors that are particular to the site concerned and should be determined by a nominated ‘person responsible for racking safety’ (PRRS) to suit the operating conditions of the warehouse. This will take into account the frequency and method of operation together with the dimensions of the warehouse, the equipment used and personnel involved, all of which could damage the structure. The inspection follows a hierarchical approach using several levels of inspection. 643 As soon as a safety problem or damage is observed by any employee, it should immediately be reported to the PRRS. You should have systems in place for reporting damage and defects. 644 Employees should receive training, information and instruction on the safe operation of the racking system, including the parts affecting their safety and the safety of others. 645 The PRRS should ensure that inspections are made at weekly or other regular intervals based on risk assessment. A formal written record should be maintained. 646 A technically competent person should carry out inspections at intervals of not more than 12 months. A written report should be submitted to the PRRS with observations and proposals for any action necessary. 647 A technically competent person might be a trained specialist within an organisation, a specialist from the rack supplier, or an independent qualified rack inspector. 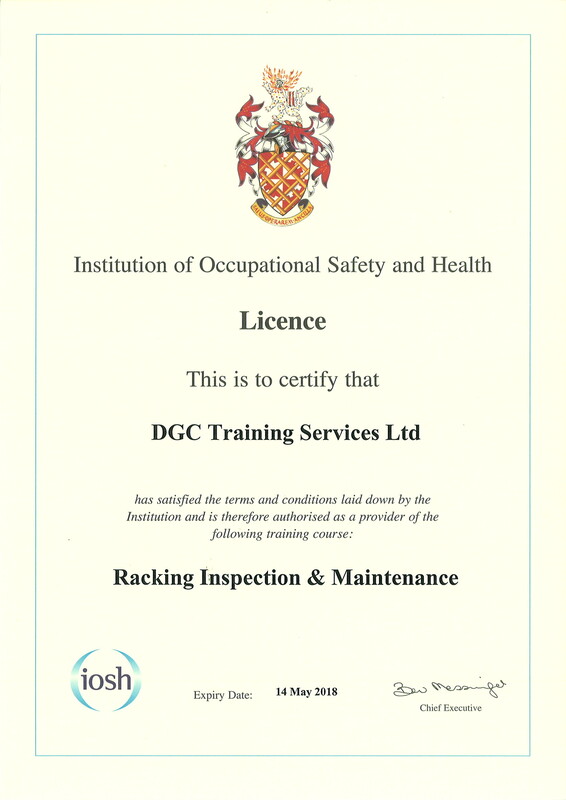 To find out more, please call 01698 230 200 or email info@dgctraining.co.uk.